In the interest of transparency, I personally know Dr. Ore and have heard her account that is detailed in the Statement. Maricopa County's Sheriff Arpaio has been found to be guilty of human rights abuses when working with undocumented persons, so it is not a surprise, but nonetheless shocking that racist abuses of power take place on the local police level. 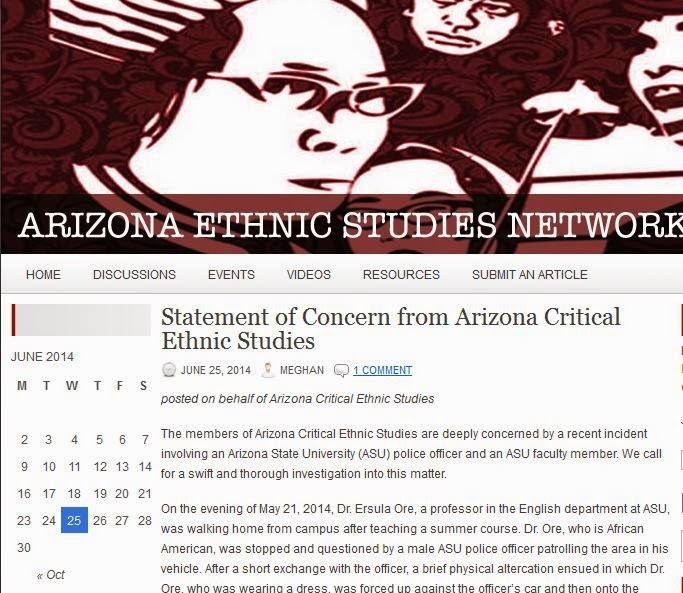 In the Statement of Concern from Arizona Critical Ethnic Studies, the account of the harassment and police brutality enacted against Arizona State University's English Professor Dr. Ersula Ore, who is an African American woman. When the police could not provide a reason why they stopped her, Dr. Ore refused to do as she was told by the white male police officer. Those who want to argue that racism does not exist do not understand that police harassment is a reality for people of color at the present, not just historically. "Officials at ASU, in response to questions about the incident and possible racial profiling, have sought to distance the University, stating that 1) because the incident occurred on a public street between parts of campus, it was technically “off campus,” so Dr. Ore was a private citizen; and 2) although they will comply with any investigation, there is no evidence of racial profiling." 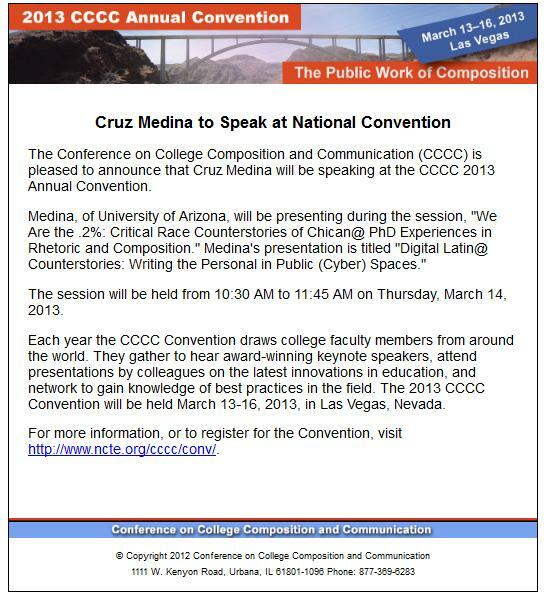 In the context of Arizona's Superintendent of Education admitting to blogging racist rants, it's really hard to believe that the powers that be at ASU would ever address the dehumanizing treatment of their faculty of color where there's an established tradition of shirking responsibility when it comes to race.